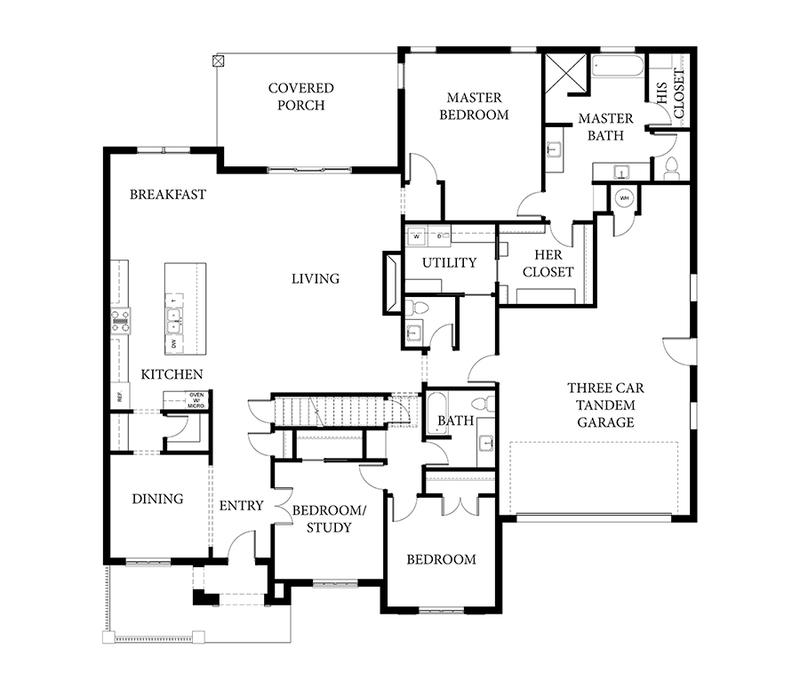 The Dawson II plan offers flexibility with very open, spacious rooms and a 3rd bedroom /study option. A home great for entertaining and family gatherings! Kitchen has butler’s and walk-in pantry – Formal Dining – Features amazing master retreat and bath with His/Her vanities and closets – connect to laundry room feature. This plan has a 3 car tandem garage with access into an over-sized mud room with bench and additional storage. The Dawson offers French style curb appeal with it’s front porch terrace and charming arch entry. Come visit this new community offering maintained lawns, a resort style pool and clubhouse all situated within a 2 acre park! Love this home? The homes below are available for quick move in!